We host once a month where we open our doors to the public for tours and tinkering, held on The First Sunday of the month unless its a big holiday from 5:00pm – 10:00pm (Starting at 5pm is a potluck, 6pm a community planning meeting, and 7pm its like an open house, but more show and tell, hands-on). 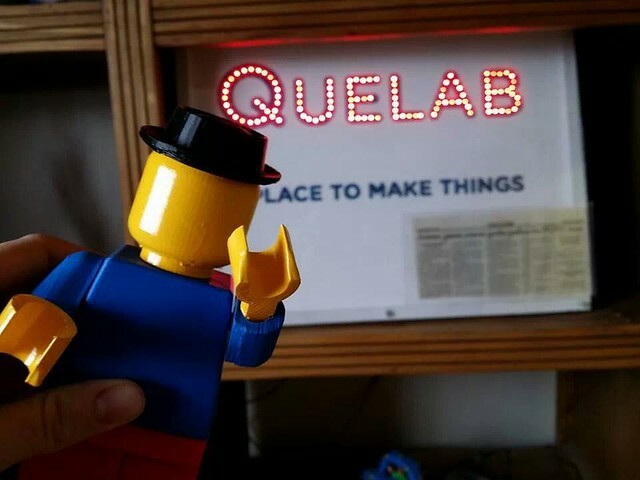 Quelab is a non-profit corporation run as a entirely self-funded and membership-driven organization, staffed by a group of passionate volunteers who strongly believe that hackerspaces can help make the world a better place. If you’re unfamiliar with hackerspaces, or the Maker Movement, we recommend these two articles by NPR: DIY ‘Hackers’ Tinker Everyday Things Into Treasure and A Space For DIY People To Do Their Business. Better yet, you can experience it yourself by joining us at one of our events!